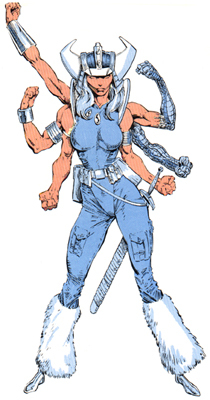 Spiral's real name is Rita Wayword, better known as 'Ricochet Rita', a professional stuntwoman who befriended Longshot when he first appeared on Earth. 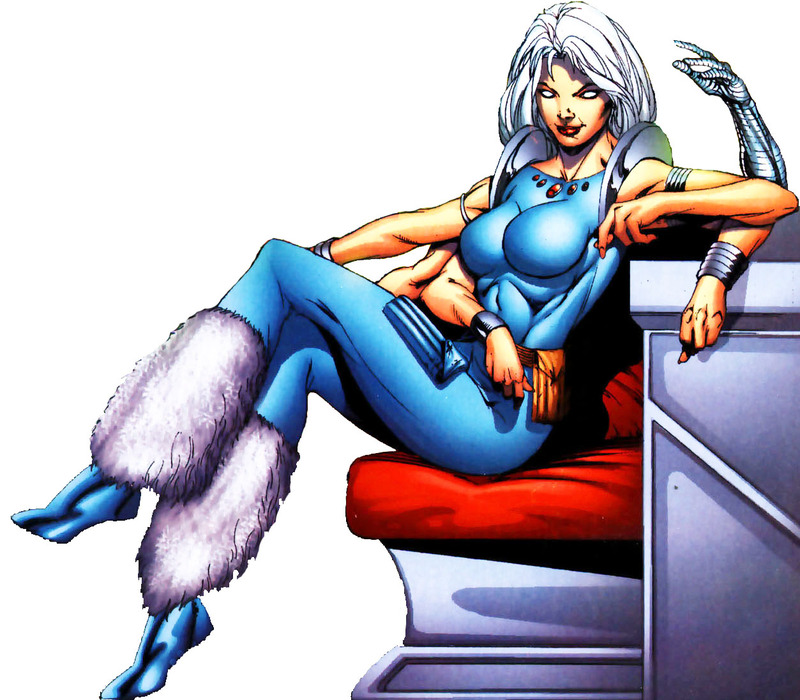 Rita was attacked by her evil, future self which led to her meeting Longshot and falling in love with him. 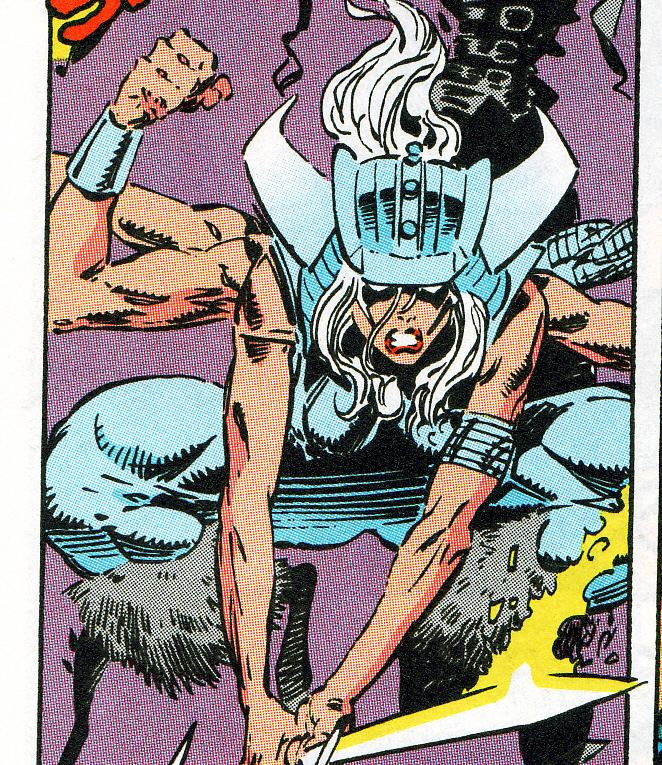 When Longshot sought to return to his home dimension, the Mojoverse, the lovestruck Rita went with him, only to watch Longshot fail and be captured by the dimension's evil overlord, Mojo. 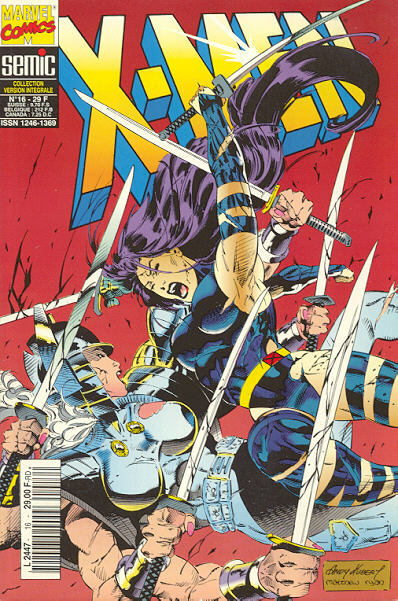 Longshot was promptly mindwiped to forget all about Rita, while a much worse fate was left for Rita. 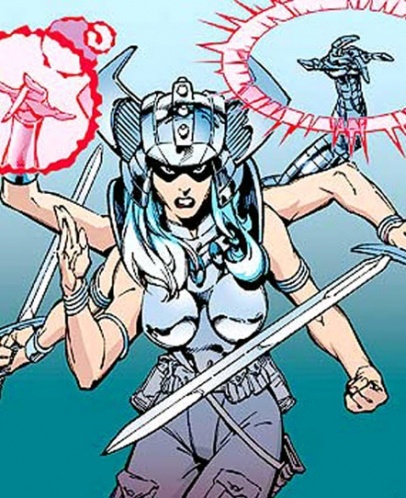 After holding her prisoner for several years (at which point Rita was made to serve as guardian for Mojo's army of "X-Babies"), Mojo forced his chief scientist, Arize, to perform extreme physical and mental body modifications onto Rita to recreate her into a loyal subordinate. 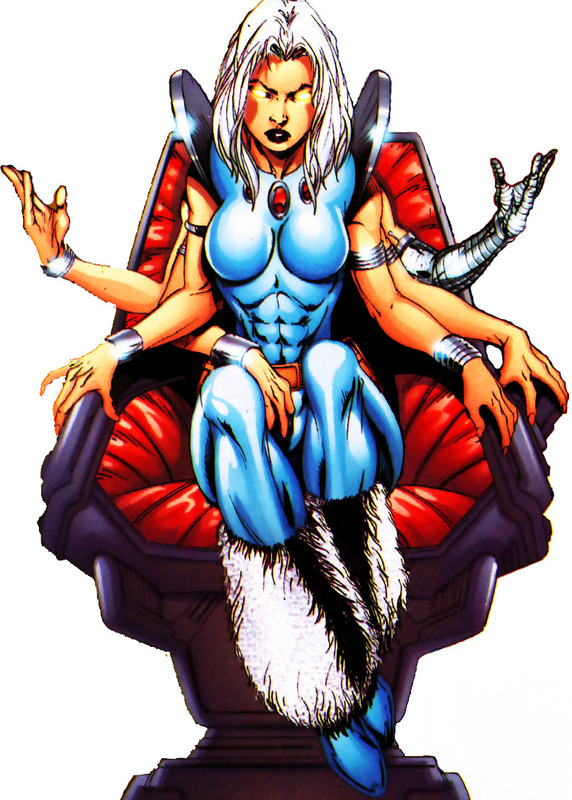 These experiments left her with six arms (two of which are robotic), turned her hair grey, and drove the young woman insane through forcibly evolving Rita's mind to the point that she could see into other dimensions that were used for time-travel/teleportation. He also trained her in the dark arts of magic and body modification, so that she could use these skills to mutilate others like Mojo had mutilated her. 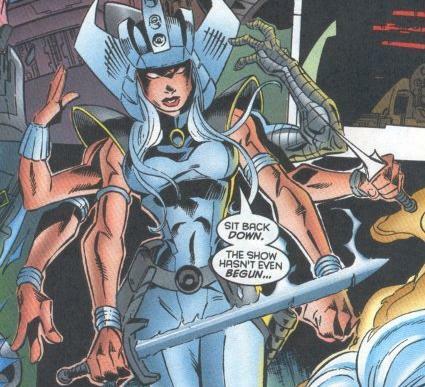 Finally, in a cruel act of manipulation, Mojo sent Spiral back in time to set into motion the events that led to her former self becoming Mojo's prisoner and become Spiral by attacking her past self. 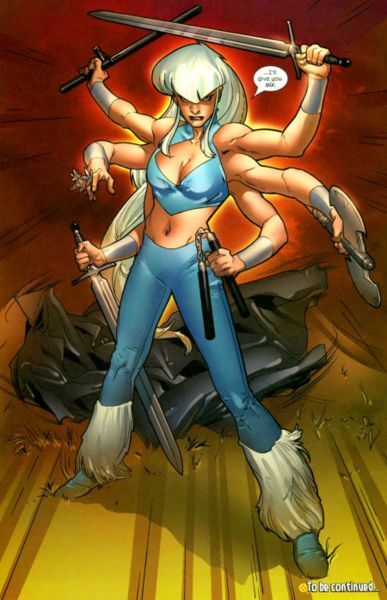 Spiral was an odd choice as a character to debut in Capcom's X-Men: Children of the Atom, but Capcom's reasoning behind adding her quickly became clear. 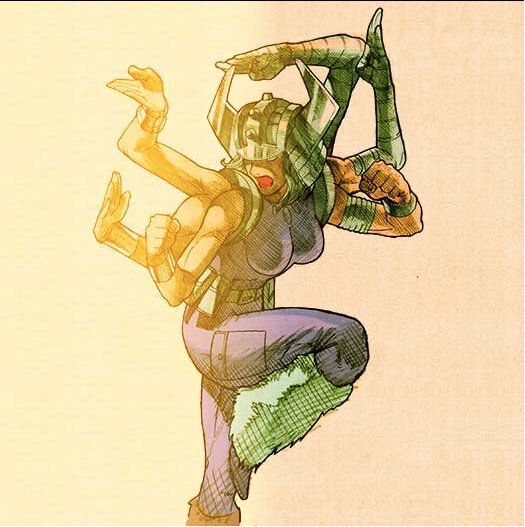 Her animation and moveset were immediately memorable, and for those who didn't know her from the start, she became an instant classic fighting game character. 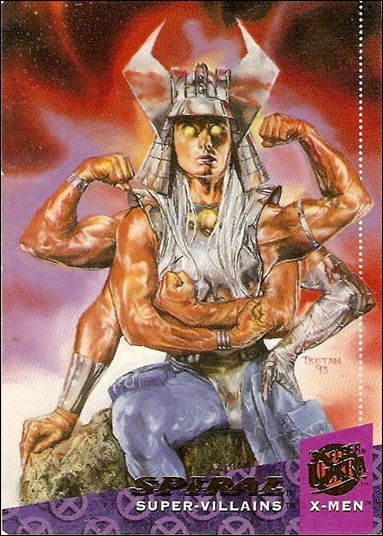 Spiral is one of the first cases where Capcom proved that they could bring an "obscure" Marvel character into the limelight and make them pretty damn awesome. Can you think of a better Spiral video game or TV appearance? Hell no you can't! 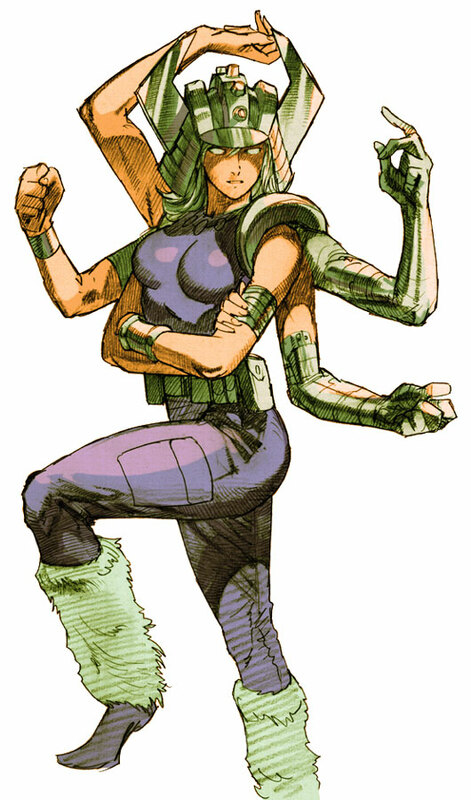 ;) Later in MVC2, she became an even more dynamic character and was among the top tier in the game. Her corner traps and projectile spamming is somewhat cheap, but actually very fun to use if you ask me.